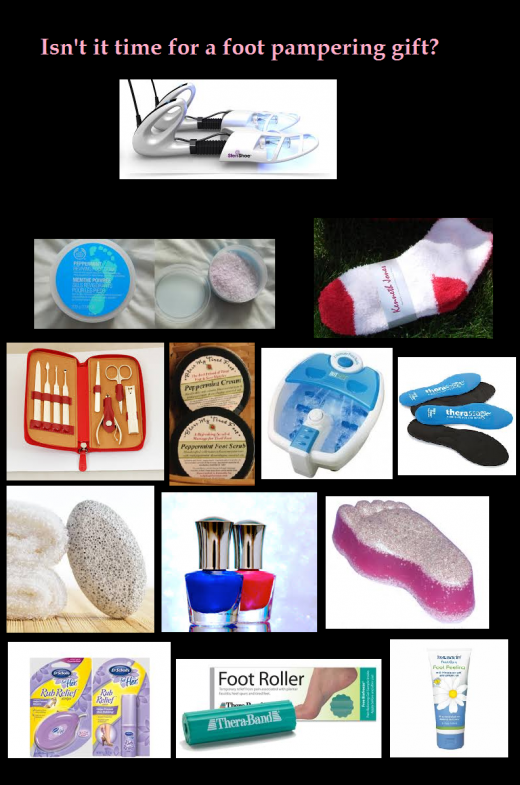 You are here: Home / Foot Care Blog / Foot Health & Hygiene / Give the Gift of SteriShoe: It's Eco-Friendly! July 12, 2013 /1 Comment/in Foot Health & Hygiene /by Jenn F.
It can be hard to know what to buy a loved one — like a parent who seemingly has it all. We feel the best gifts are thoughtful, earth-conscious, and practical. That’s why the SteriShoe UV light shoe sanitizer is the perfect present for a birthday, Christmas, an illness care package, or even just a random act of kindness. SteriShoe should be a staple in the closet of anyone who cares about health and hygiene. In fact, we think it’s just as essential as your washing machine and dryer! You don’t think twice about washing your socks after each use, but what about your shoes? They absorb just as much sweat, fungus and bacteria over the course of the day. Socks are porous and breathable by nature, so whatever is going on inside your sock is also going on inside your shoe. The SteriShoe UV shoe sanitizer uses the same type of UV light that is used to sterilize hospital equipment to kill up to 99.9% of the microbes in your shoes. Bacteria is one of the primary causes of foot odor, so this means a cleaner, fresher, healthier shoe. Diabetics – Poor foot circulation, high blood sugar and peripheral neuropathy can make it difficult for tissues to heal properly. A small cut or blister that gets infected with bacteria can become a terrible foot ulcer, leading to gangrene and even amputation. Foot care is most important for diabetics who may not necessarily feel a problem until it’s too late to intervene. Seniors – As we age, our immune system weakens, while our exposure to harmful microbes in the environment increases. We become more susceptible to toenail fungus, athlete’s foot and ingrown toenails. Keeping the foot sanitized should be a priority to prevent any complications. Sufferers of Recurrent Foot Fungus – Some people are just naturally more likely to get toenail fungus or athlete’s foot than others. Part of the link is in our genetic code. It can be expensive, embarrassing and frustrating to battle foot fungus time and time again. One of the main reasons fungus re-invades the body is that people overlook footwear in their treatment regimen and stick their feet into contaminated shoes. Hyperhidrosis / Sweaty Feet Sufferers – The feet have over 250,000 sweat glands, so it’s not surprising this tends to be one of the most moist parts of the body. Even so, there are some people that sweat more than others, naturally. When sweat mingles with bacteria, a strong odor is produced. Not everyone likes to use powders and sprays to freshen their shoes. After all, it’s like putting your foot into a chemical bath! SteriShoe provides a more natural way to sanitize footwear and eliminate odor. Runners – Runners fall prey to more cuts, corns, calluses, ingrown nails and blisters than most people because they are so active and hard on their feet. Since they are sweating in their shoes a lot, it’s important to eliminate the microbes in the shoe to keep the feet odor and infection-free. People with Weakened Immune Systems – Cancer patients undergoing chemotherapy need to take special precautions to limit their exposure to harmful pathogens. Their bodies may be weakened from fighting the cancer, so they don’t necessarily have the extra resources to simultaneously fight off a fungal or bacterial infection. By keeping shoe bacteria and fungus to a minimum, that’s one more layer of protection and one less health concern they need to worry about. The SteriShoe sanitizer destroys microorganisms in shoes with its germicidal UVC lamp in just 45 minutes. We often hear about UVA and UVB; this is the wavelength of light that gives us suntans and sunburns. UVC is completely filtered by our atmosphere and that is why we do not hear about it often. However, within the medical field, UVC’s ability to destroy harmful microorganisms is well-established. Every other product designed to treat shoe bacteria, fungus and/or odor uses the same thing: CHEMICALS! There are chemicals in sprays, powders, detergents and insoles. Once you put these products into the shoe, there is no way to get them out. People think that by allowing the shoe time to “dry out,” it’ll be fine… but what about the next time your feet sweat? All those chemicals literally bathe the foot! The SteriShoe sanitizer adds nothing to the shoe. The controlled dose of UVC light properly sanitizes the shoe after a 45 minute treatment. The SteriShoe sanitizer automatically turns itself off, so you don’t have to worry about it. There is no further drying time or wondering what has been left behind or put out into the atmosphere. You can use it once a day or even multiple times a day. So why not put together a thoughtful foot health gift for a friend or loved one that includes the latest shoe sanitizing technology? Visit www.SteriShoe.com for more information. Home Remedies For Athlete's Foot Will Losing Weight Prevent Diabetic Foot Problems?